There are still Sponsorships available at the $150, $250, $500, $1,250 and $2,500 level! Email christina@13thirty.org to get involved! 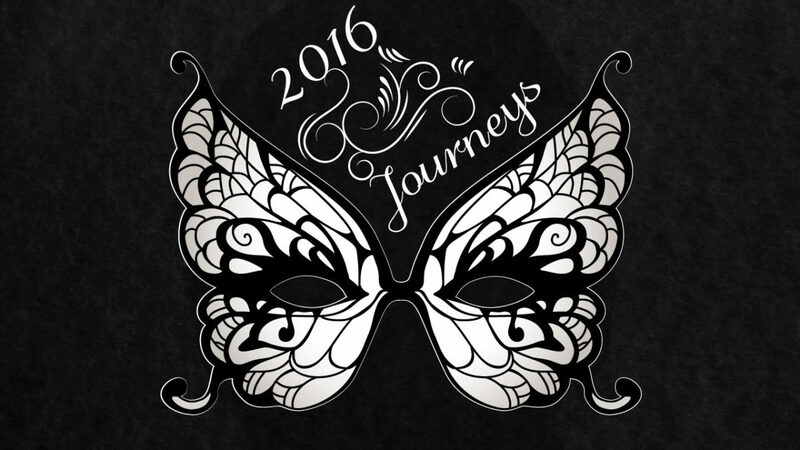 Journeys 2016 – RSVP Now! The Faces Behind the Masks Our 13thirty teens and young adults reveal the real faces and stories that cancer often masks. You’ll be inspired! Contact info@13thirty.org or call (585) 563-6221 for more information. Funny how people find themselves together. Families are tied together by birth. Neighbors become neighbors by virtue of geographic proximity. Business relationships are born of mutual economic gain. But sometimes, the vagaries of life conspire and cast together people whose paths may never have crossed otherwise. This happens often in my world and when it does, I’m always struck by how the universe works. Last night, at the first annual Bald for Bucks Beard-Off, nine handsome men chose to shave their prized beards – and in a few cases, their heads – to show their support for our teens and young adults with cancer. In a very public way, they stood together and railed against cancer in young people. The atmosphere at Lovin’ Cup, a very cool bistro and brew pub, was upbeat, rowdy at times. Good food, craft beers, live music and a bit of thought-provoking poetry created a good vibe. One by one, each man took his seat and the crowd cheered as each beard hit the floor. Many in attendance were waiting for the final three – Charlie Cote, John Nichols and Josh Symer. As I, along with the rest of the house, shouted in approval, a familiar feeling settled in my heart making me both happy and sad. Had it not been for cancer, I would never have met these three awesome people. Had Charlie’s son, also named Charlie, not died, the poems he read last night would have been much less poignant and touching. There would have been no tears. Charlie wouldn’t even have been there, no less be our current Board President. Because John’s son, Quin, had cancer and thankfully survived, John serves on our Board of Directors with a commitment forged in his own family’s experience, ever grateful that his son is alive but always wary of cancer’s spectre. If not for cancer, John, too, would not have been there. And of course, if Melissa hadn’t died, the organization wouldn’t even exist. 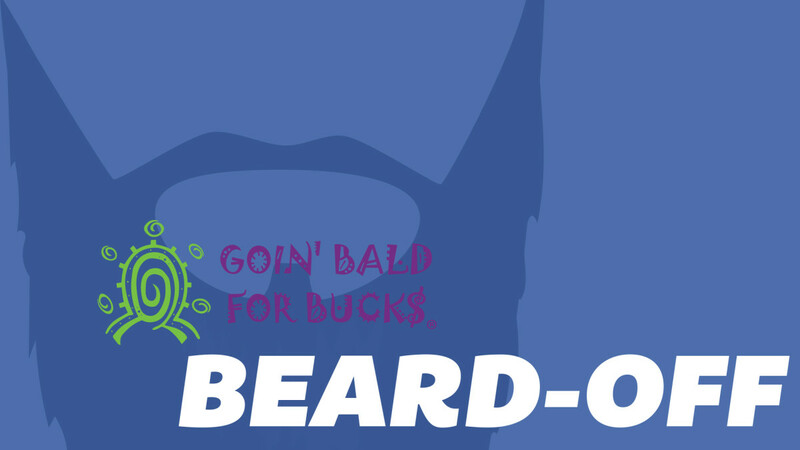 Josh, our new Special Events Coordinator, would never have had the opportunity to organize the Beard-Off and be compelled to shave his own beard and head because of his passionate belief in our cause. Certainly, he would have been somewhere else. Therein lies the paradox. 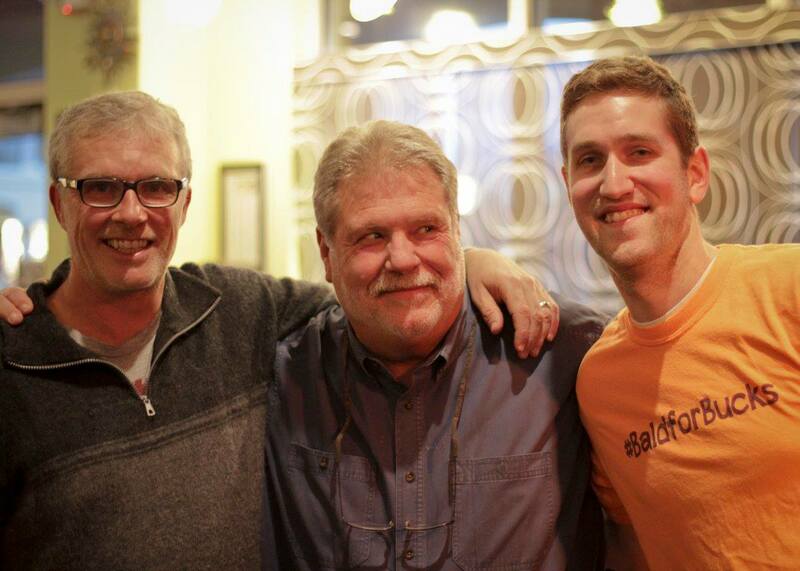 I am blessed to know Charlie, John and Josh and am grateful beyond words for their support and dedication. But I’d give my life to never have met them if it meant Melissa could still be here enriching the world with her gifts. I guess life is like that. Misfortune brought these three men and me together last night but it is my very, very good fortune to know and work with them. Charlie Cote, John Nichols, Josh Symer without their beards. View the whole album to see John without his 43 year old moustache and Josh without his hair! Lauren Spiker, Melissa’s mom and Executive Director of 13thirty Cancer Connect. Whether you are new to 13thirty Cancer Connect, or have been part of the community for a while now, get a new perspective and learn about its start and what we do for the community as a whole. 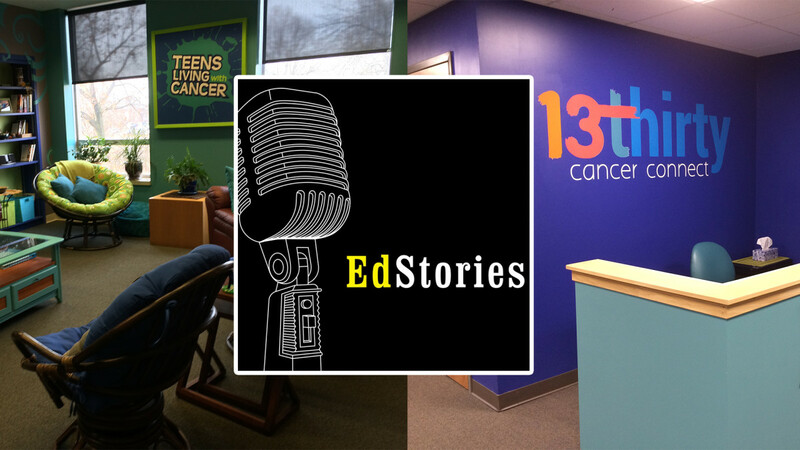 In this podcast segment of EdStories, hosted by Michael Zaffuts, Lauren Spiker (Founder and Director of 13thirty), talks about what 13thirty can offer to the community. Hear about what events are coming up, the new features of the center, and what other programs are offered at 13thirty this year. Also, hear part of Melissa’s story and how the organization came to be. To hear the podcast visit the EdStories, and to learn more about EdStories and see other available podcasts, you can visit Michael Zaffuts’ website. Welcome to 13thirty Cancer Connect where teens and now, young adults with cancer ages 13-30 find a new peer community of others with shared experience, others who understand what it’s like to be an adolescent or young adult (AYA) with cancer. 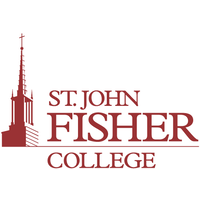 This past year was one of big changes – new name, new logo, new national office and Rochester Center! 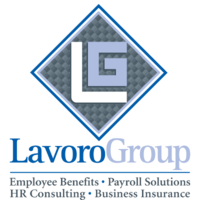 We’re still based in Rochester, NY at the Al Sigl Community of Agencies on Elmwood Ave. but we’ve moved to brand new space. Our Rochester AYAs have lots of room to hang out and their parents also have a space all to themselves. We’re lucky to have a full gym in our building for our 13thirty Fit! program, Highland Park right in our back yard, and lots of cool restaurants around the corner in College Town. So, if you’re in Rochester, stop in and see Lauren, Josh, Heidi and Mercedes. The coffee is always on! If you’re in Buffalo, give Kelly a call and learn about our Teens Living with Cancer (TLC) program and our awesome partners at Roswell Park Cancer Institute. For information about becoming a 13thirty Cancer Connect partner, call Lauren at (585) 563-6221. Your teen and young adult patients will thank you!